Learn how to export individually or in bulk. Need to attach something to email, or share it broadly? 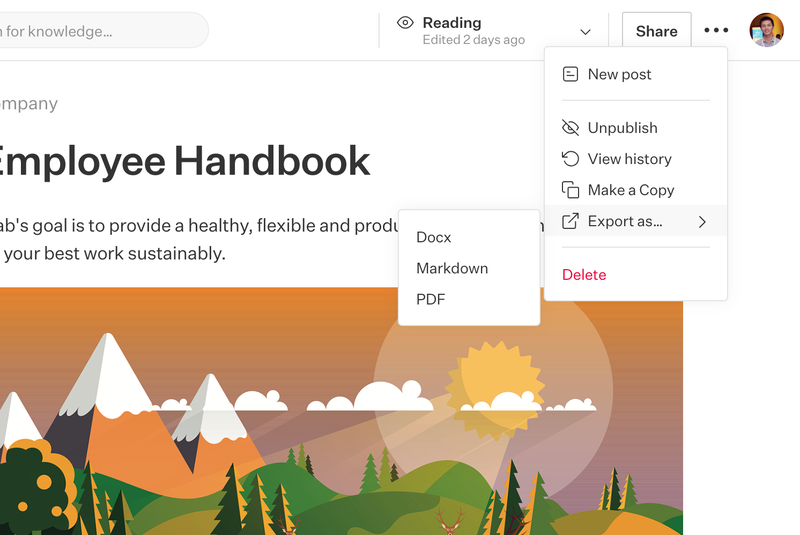 To export an individual post, open the top right dropdown > Export As > Choose your format. Admins can download a copy of all the published content in Slab. This will not include drafts that have not yet been published. 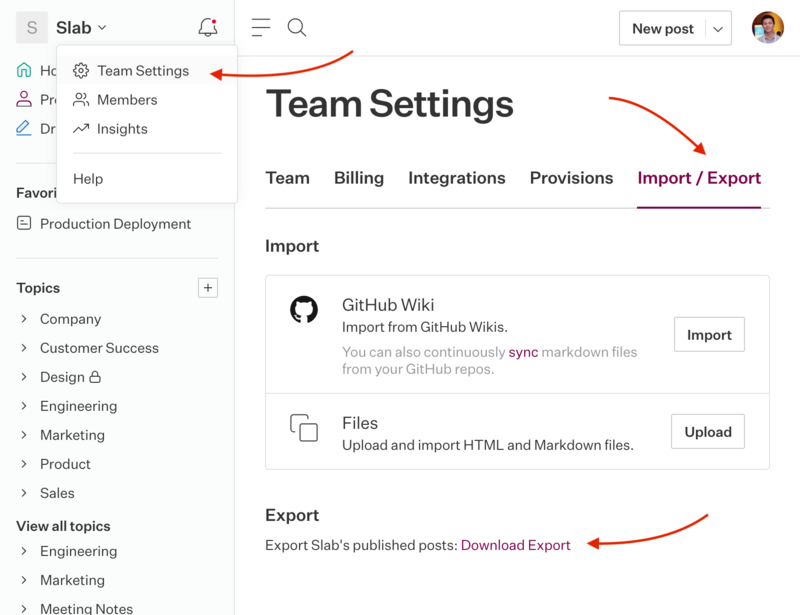 In the left sidebar, click on your team name > Team Settings > Import / Export followed by the "Download Export" link. At this time we only support export to markdown.